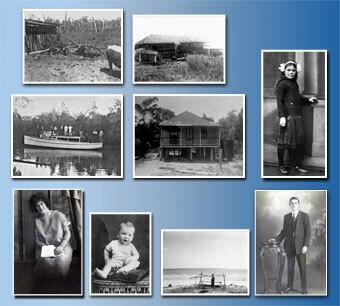 Photo montages are an interesting and unique way of displaying a large number of your photos all at once.Many hours can be spent just looking through these images rekindling favourite times and great memories. 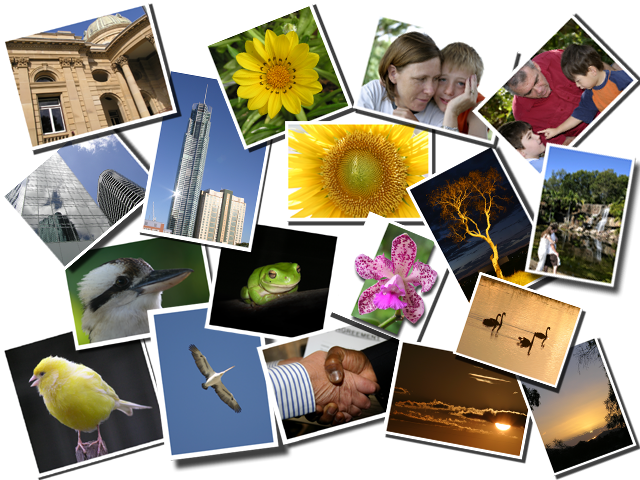 Your photos can be displayed in 2 different ways, as can be seen in the sample images shown here. The choice is yours. 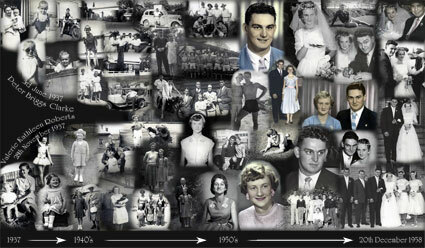 A photo montage created by placing your photos together will give you a record of an event or time period all collated togehter in an orderly fashion. A photo montage created by scattering your photos in a seeming random pattern. This also includes the all images on 2 CD/DVDs. Costs are $5 per image up to 10"x8" (approximately A4) and $15 per image for anything larger. If you scan your own photographs they must be high resolution scans! Travel costs and expenses for areas outside the Rockhampton region may be incurred and will be charged at cost.